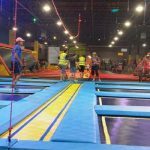 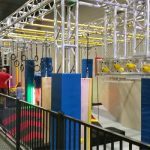 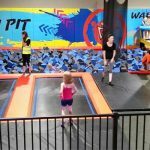 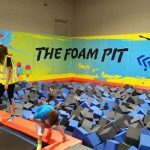 Urban Air Trampoline Park Oxford review, pics, video, and info. 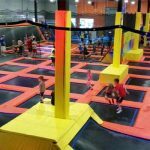 The 30,000 square-foot Urban Air Trampoline Park is now open at the Legacy 925 at 925 N. Lapeer Road, Oxford, MI 48371. 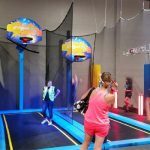 Urban Air is an indoor trampoline park and is an anchor tenant at The Legacy 925 – a new community center that focuses on family entertainment, fitness, health, training for individual and team sports, art, education, life-skill development and dining. 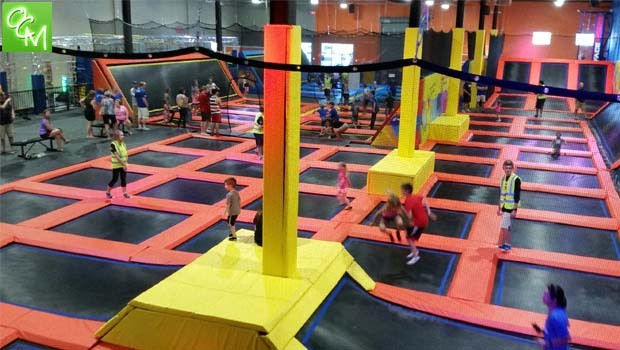 Urban Air Trampoline Park features dodgeball courts, a foam pit, soft play area, special trampoline zone for kids age 7 and under, a tumble track, wall-to-wall trampoline arenas, Warrior Obstacle Course, a Warrior Battle Beam, Slam Dunk Zone and a unique rock climbing wall that is made with a clear piece of plexiglass so competitors can see each other from both sides as they race face-to-face to the top. 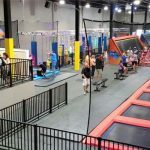 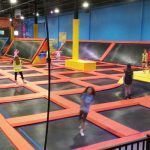 Urban Air Trampoline Park includes eight rooms for private parties, a cafe, plenty of picnic tables and a raised viewing area for parents to relax and observe. 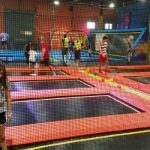 In addition to kids’ parties, Urban Air can host team parties, fund-raisers, corporate events, family gatherings and church functions. 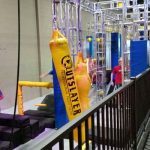 The services of an on-site photographer/videographer will be available for private parties to capture all those memorable, action-packed moments. 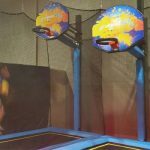 A convenience of having Urban Air located inside the Legacy 925 is that parents can pursue their own interests while their children play. 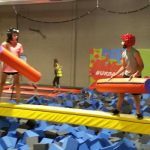 Kids can go play on the trampolines while mom goes to a yoga class and/or dad does some CrossFit training. 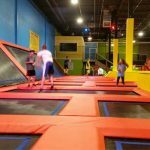 Then they can meet up for sandwiches at the cafe or some frozen yogurt.